Thursday was another short travel day. We left the peace of Deerlick Creek campground and returned to Anne’s mom’s house to do another two nights of driveway camping. We did our last morning walk of 4-5 miles and Max cooked us another great breakfast and then about lunch time we headed back into Tuscaloosa. Back to the traffic, sirens, and did we mention traffic. It took just a few minutes to setup since we were leaving again on Saturday. We decided to hike the greenway down to get our last milkshake for a few weeks. Friday we had business to take care of in Oneonta so we were back on I-20 back to Birmingham and then Oneonta. After taking care of the banking business we visited with Aunt Jean and Aunt Helen. They were having a good day and both were cheerful although as usual somewhat confused. Helen was a little more talkative at first but shortly was back to seeming withdrawn. Sad. We had errands to run for the ladies and then met Donna for lunch, made one last check on the houses and headed back to Tuscaloosa to finish a little laundry other last minute items. 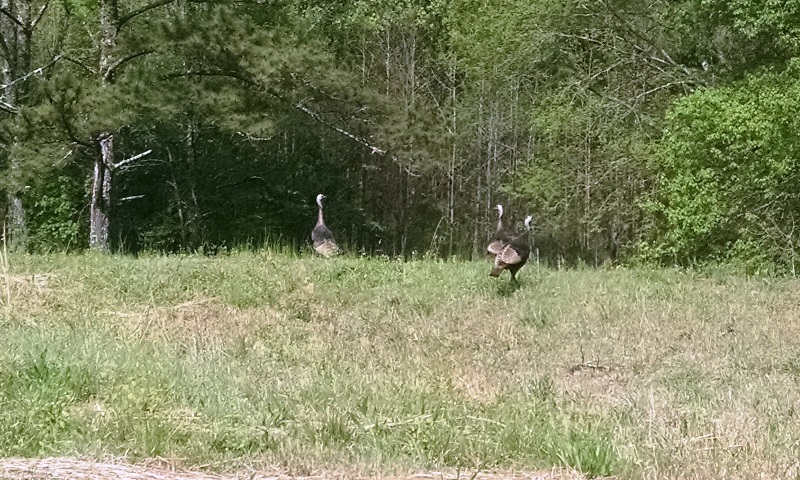 This time the turkeys just ignored us when we came home. This morning we were up early and on the road by 6:15 headed back to Baton Rouge. 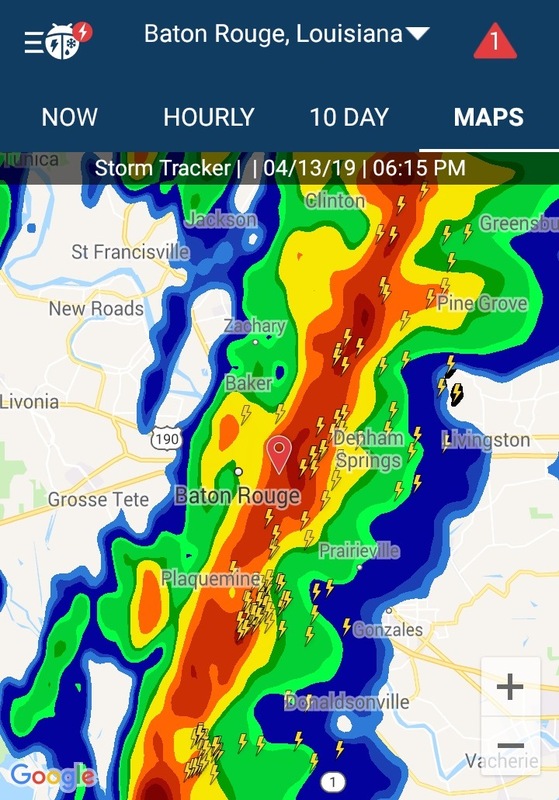 The weather is looking nasty for the weekend but it looked like we could make it to Baton Rouge before things got bad. If we waited it out in Tuscaloosa, we would probably have to drive down late Sunday. We didn’t like that idea so we were up before 5:00. It was a much easier drive than we expected. We had intermittent light rain but nothing heavy. The wind became stronger the closer we got to Baton Rouge so we were glad we got an early start. We were parked and set up before 2:00. It is so great to see friends we haven’t seen in a year and excited we will get to spend some time with them this week. By 3:30 the winds were really howling at 30mph. The storms arrived about 5:30 and it’s still raining as we write this blog at 7:30. It doesn’t appear we are going to have anything dangerous. We are very concerned about our friends and family back in Alabama because it looks much worse there. We are thankful we can still get our Birmingham stations our our satellite TV so we can follow everything. Praying for the storms to calm and safety for everyone. Also praying for the joint services here at Francis Asbury UMC. We will celebrate Palm Sunday with the primarily hispanic church down the street and the primarily black church across the street tomorrow. Looking forward to a wonderful service. Y’all stay safe!